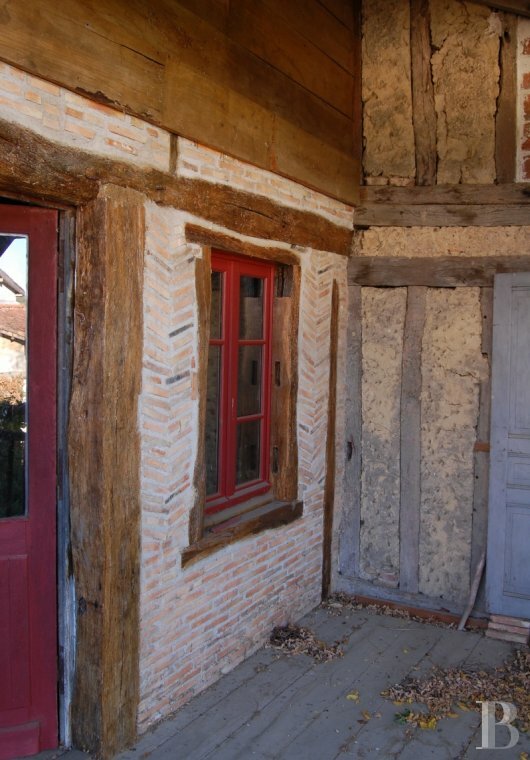 A comfortable, meticulously restored guest house in a bastide or “fortified town” along the Way-of-St-James in the French department of Gers - french village houses for sale - in South-West, Perigord, Dordogne, Quercy, Limousin - Patrice Besse Castles and Mansions of France is a Paris based real-estate agency specialised in the sale of Village houses. 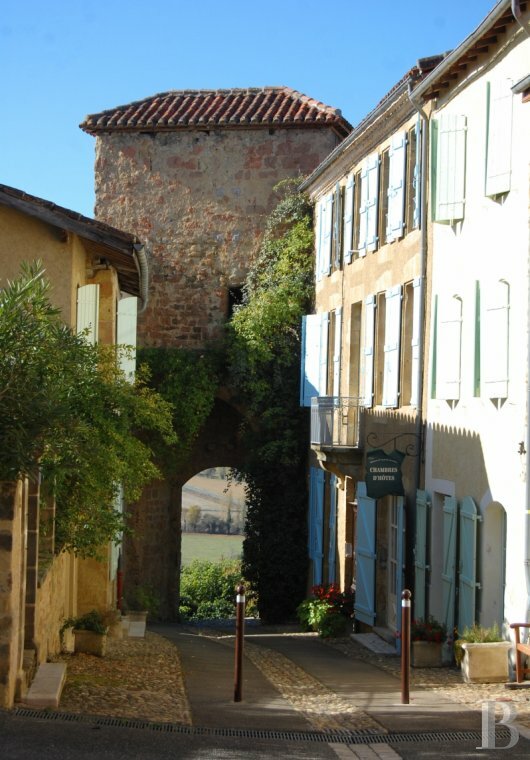 Bastides or “fortified towns” are dotted along the Way-of-St-James like the beads on a rosary. Some are on river banks and others are on high. 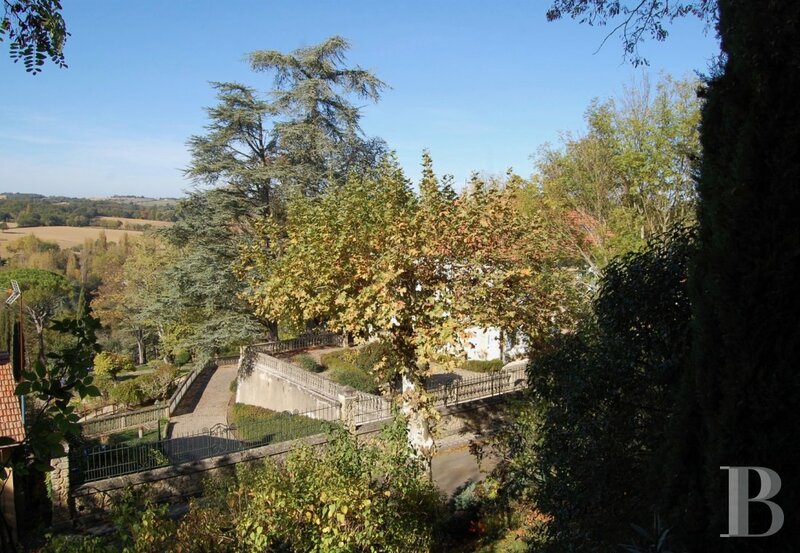 This one is on the Via-Tolosana, also known as the Way-of-Arles, (which is linked to the Via-Podiensis via a deviation at Conques), overlooking hilly countryside with varied vegetation. It provides pilgrims with irresistibly pleasant and beautiful scenic views. As is often the case for these old towns, once surrounded by ramparts, the access route has veered forming a bypass which guarantees the village itself great tranquillity; a tranquillity dating from another age. 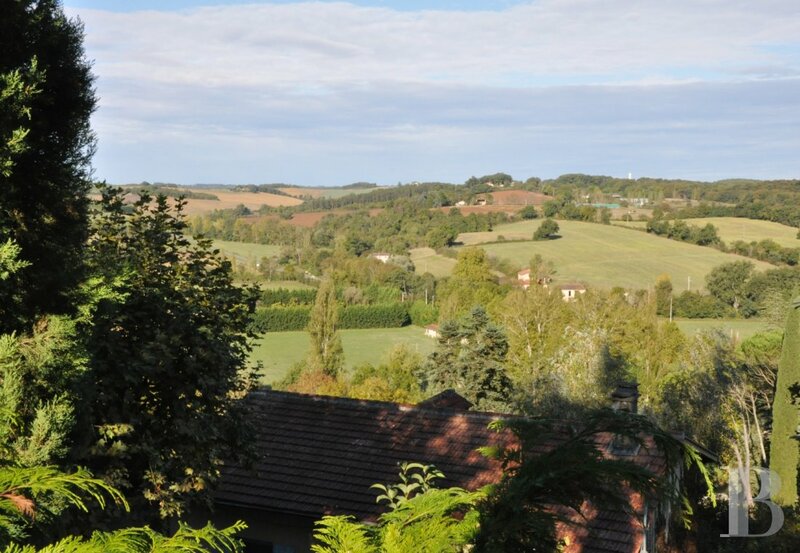 Auch, the capital of the Gascony region, is 30 minutes away; Marciac, the capital of jazz music, is but 20 minutes away. 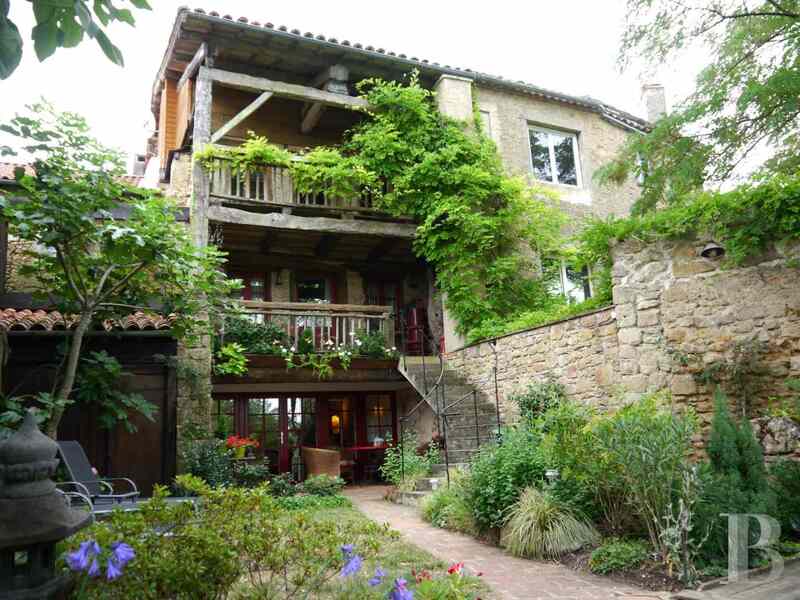 This residence stands just a stone’s throw from one of the bastide’s old fortified gateways. One facade looks out over the main street, crossing the village from end to end. 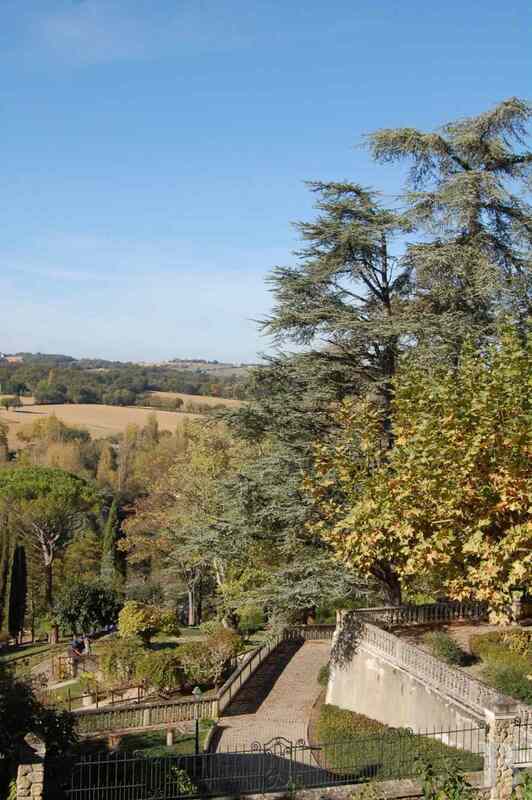 The other facade is actually on the old rampart, on the edge of a sheer rock face, looking out over the countryside which stretches for as far as the eye can see. The house therefore has two completely different sides. Two facets which are often to be found together in the French department of Gers. Although these villages can be very small, they have made their residences showcases, demonstrating what they do best as regards construction and decor. This duality is to be found all the time when passing through or stopping over in these villages: a tractor can suddenly appear at any moment in front of a building with elaborate architecture. 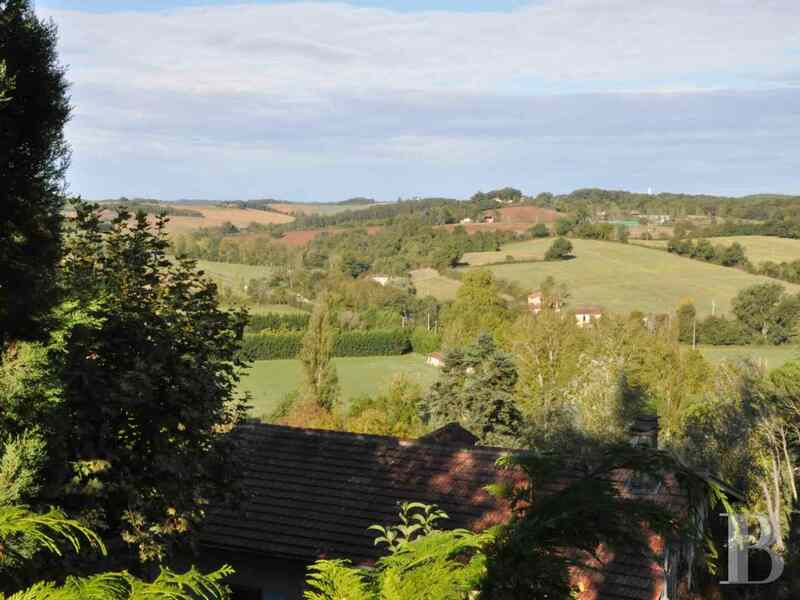 Such is country life in bastides and small Gascony towns even though isolated houses remain the custom in the region. A church dating from the era of Raymond V, Count of Toulouse, is almost opposite the house on the road side. Said edifice is a bit like a metaphor for life in the village: honour is equally paid to the city-dweller facet and the rural facet. All that a small town can offer with regard to shops, doctors and so on, as well as excellent local produce, is to be found here. 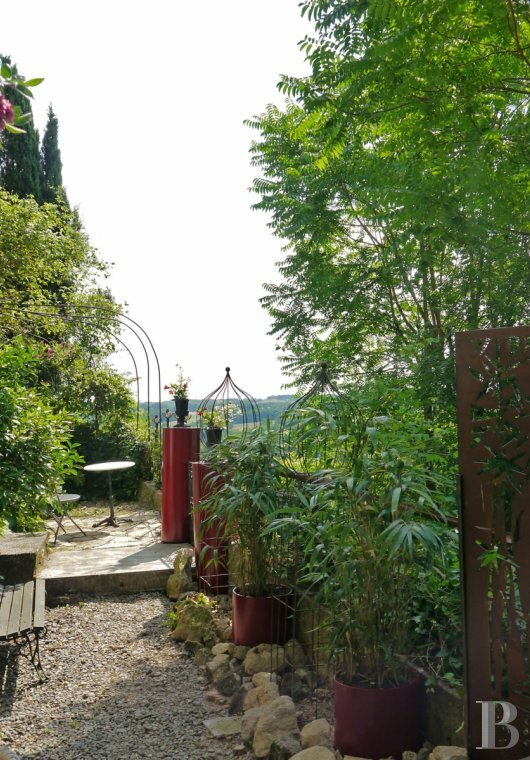 A modest garden, laid out on the rampart side, is discreetly spread out like a little belvedere looking out over the surrounding countryside, an invitation to have a coffee or to eat in the shade of a tall ash tree. One asset which could be considered important in this type of village, with its very narrow streets, is that an area for parking cars can be reached via an alleyway. 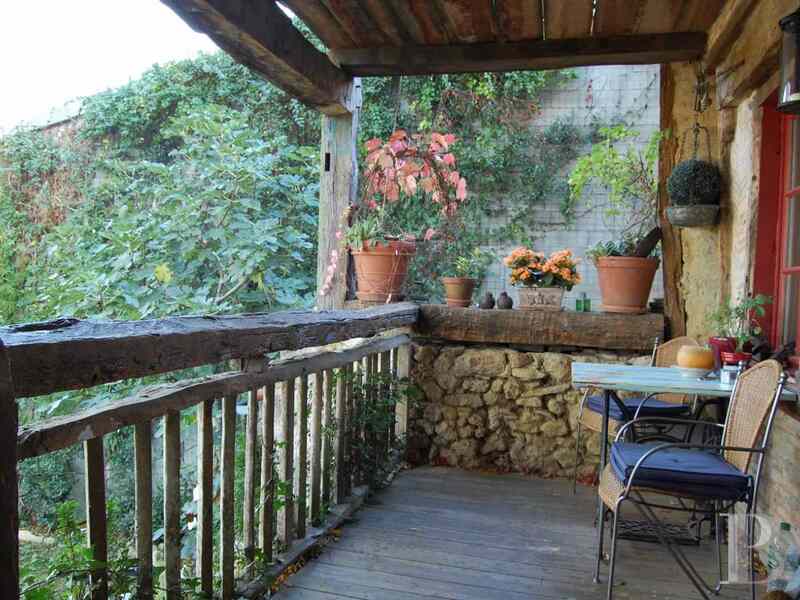 This 3-storey house, standing between street and garden, is constructed on rock. Its third level is partially composed of attic space which could be converted. The facade, overlooking the street, faces south-east; that facing the garden, north-west. The west end of the house adjoins the old perimeter wall and a tower which is the last remaining medieval gateway providing access to the bastide. 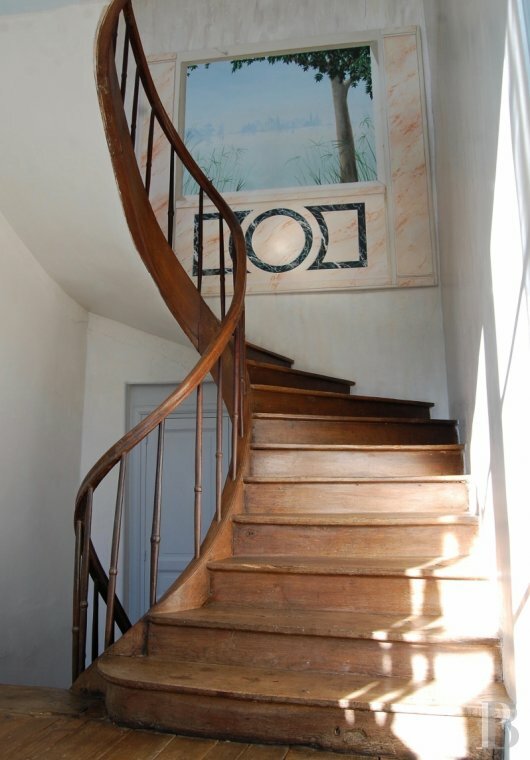 Its authentic features resulting from succeeding eras include lime-rendered facades, a Roman tile roof and an entrance door, dating from the Louis XV era, topped with a balcony, featuring wrought iron railings, dating from the Louis-Philippe era and displaying interwoven hoops, topped with a wave motif. 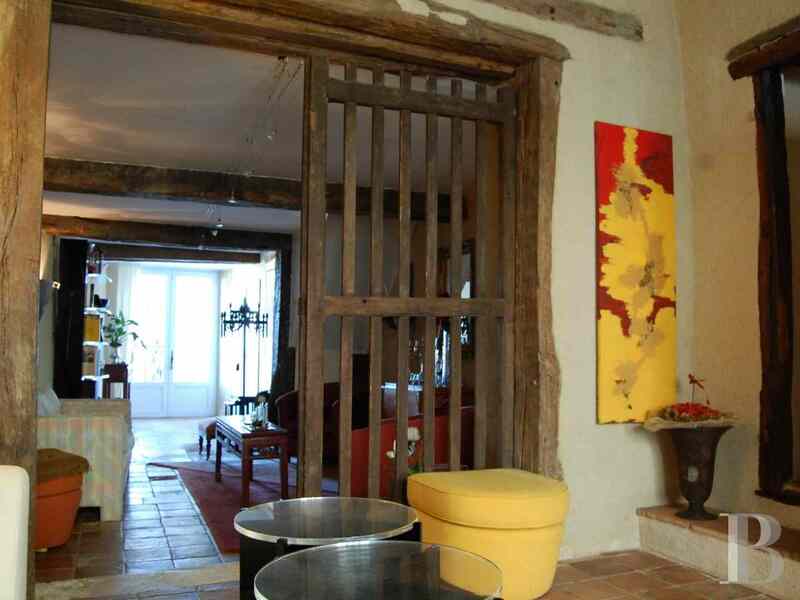 The layout of the floors is typical of Gascony architecture. The central vestibule provides access to the rooms on either side with a stairway going upstairs. In this case, given the trapezoidal shape of the house, major changes have been made behind the stairway, creating a living area even greater than that in the vestibule. Furthermore, a smaller, adjoining house has been incorporated, thus forming a larger, perfectly harmonious property; a touch of fantasy added to tradition. 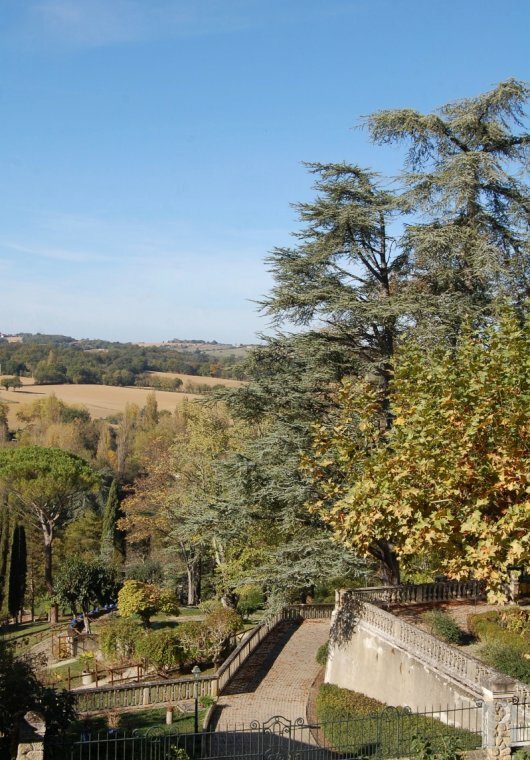 As with all small villages built inside ramparts, the gardens cannot be big. 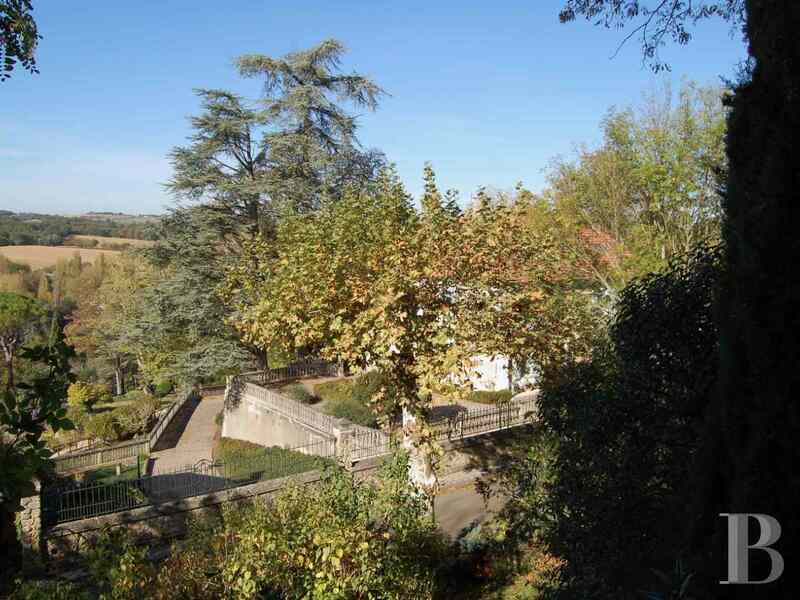 Such is the case for this leisure garden overlooking the countryside. It is a pleasant place to eat in the summer months, shaded from the afternoon and early evening sun. This house is in pristine condition, inside and out, and has no need of any works. Those carried out by the present owners have respectfully modified an old residence in the aim of introducing modern-day home comforts. Each bedroom has its own bath or shower room. An exercise room with a sauna has been created in a section of the first floor. All the door and window frames have been replaced, like-for-like with the old ones, but featuring double-glazing. 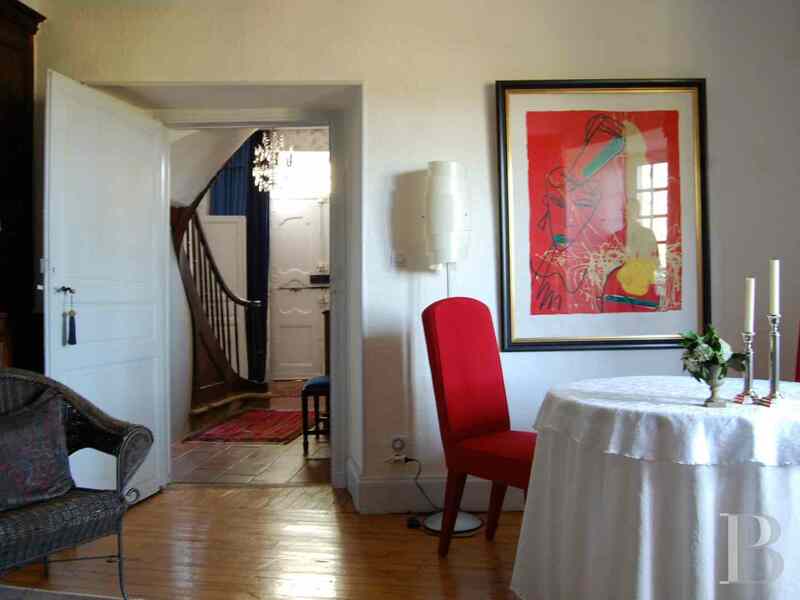 The entrance hall provides access to two rooms. 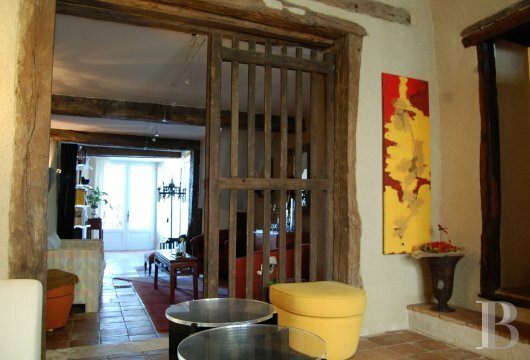 On the left-hand side is a bedroom (24 m²), unusual for the ground floor in a Gascony home, with a small shower room and separate toilet; on the right-hand side is a first lounge (28 m²). Following on from said first lounge, a large vestibule, in use as a second lounge (26 m²), extends the full depth of the house, opening on to the garden via a wide French window. 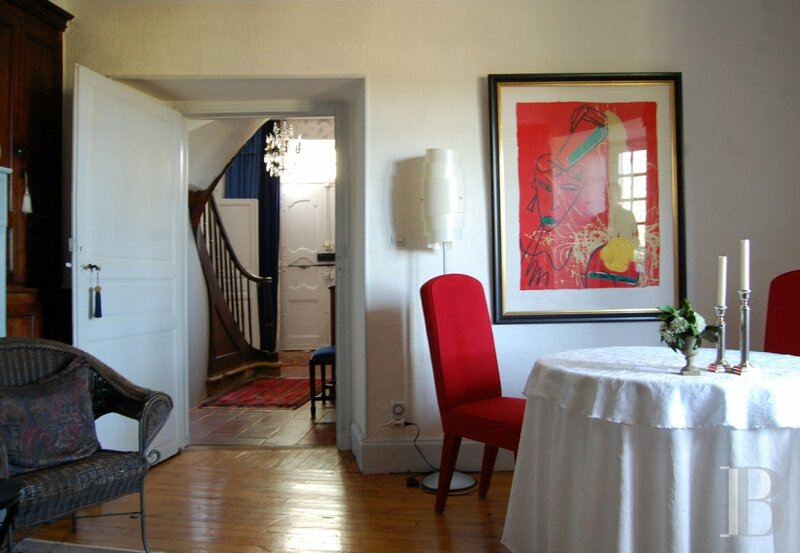 Behind the stairway in the entrance hall, a third lounge (16 m²) features a fireplace. A laundry-boiler room (13 m²) has been laid out in an area behind this lounge. It is predominantly reached via two doors opening into the vestibule-lounge. On the left of this first room is the small house which has been incorporated into the property. It is reached from the first lounge via a short passageway with a few steps. A small entrance lobby (1 m²) opens into a kitchen (23 m²) and a large dining room (32 m²) communicating with the garden via French windows, spanning the full width of the room, which also features a large fireplace housing a closed-hearth fire. A door, concealed in the stairwell, opens into an almost independent section of the house which is like a little self-contained flat comprising a dining room with an open-plan kitchen (26 m²), a lounge (13 m²), a bedroom (23 m²) and a shower room with a toilet (5 m²). A passageway, in use as a wardrobe (11 m²), provides access to an exercise room with a sauna, a shower and a toilet (42 m²). A landing (6 m²) leads on either side to two bedrooms overlooking the street. 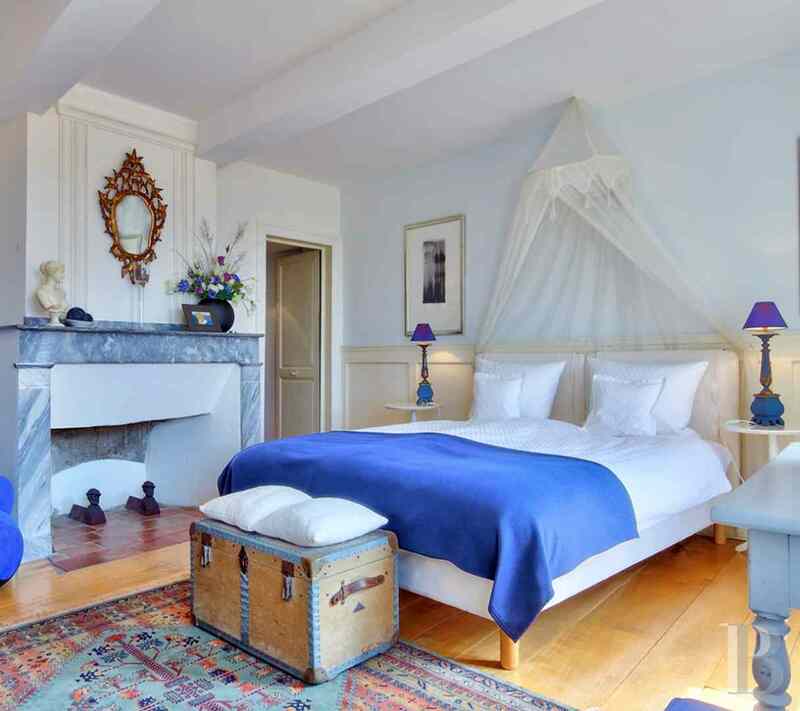 Each bedroom has a fireplace with a marble mantelpiece and its authentic wooden flooring as well as a shower room with a toilet. One bedroom (23 m²), shower room with toilet (3 m²); the other bedroom (20 m²), shower room with toilet (5 m²). The second floor spans a large surface area, currently used as attic space, with could be converted. Said attic space was once divided into bedrooms and an attic, in accordance with the slope of the roof. Another section has always been habitable and comprises two bedrooms, off a landing, overlooking the street. One of them (22 m²) has its own bathroom (7 m²) with a separate toilet (2.5 m²); the other (22 m²) has its own shower room with a toilet (4 m²). 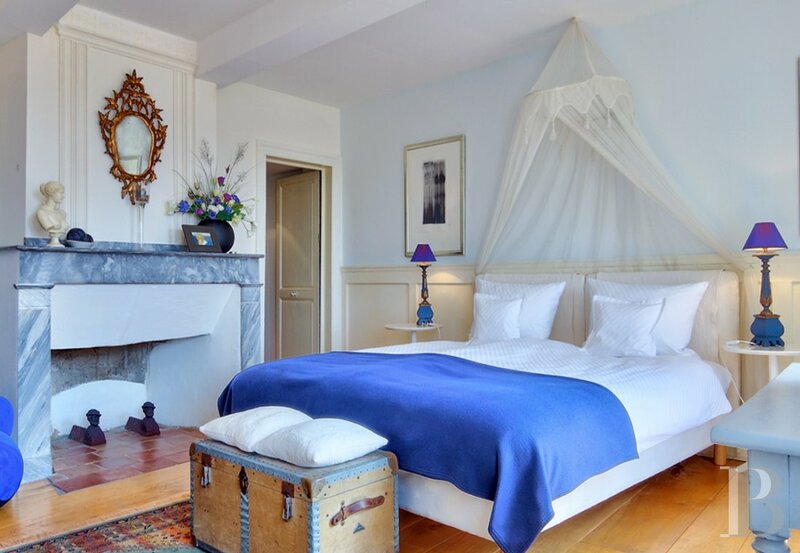 Just like the bedrooms on the floor below, they both have a fireplace with a marble mantelpiece. This property has everything to satisfy all the members of a large family settling here. 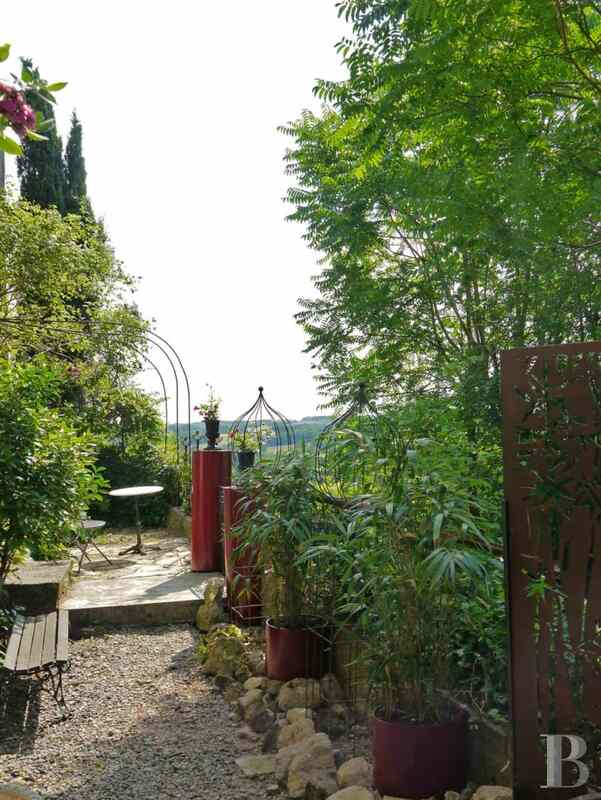 There are those who will prefer the character of the bastide’s quiet streets and those who will love the endless countryside on the rampart side. The areas on the inside are equally dissimilar and lend themselves to the autonomy of their residents. 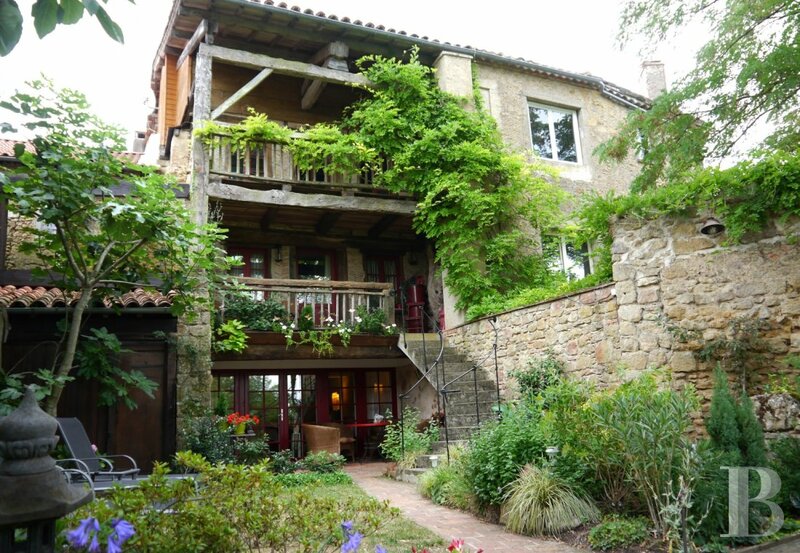 Set here, on the ways to Santiago-de-Compostela, it would also be ideal for a bed & breakfast activity, a tradition after all! 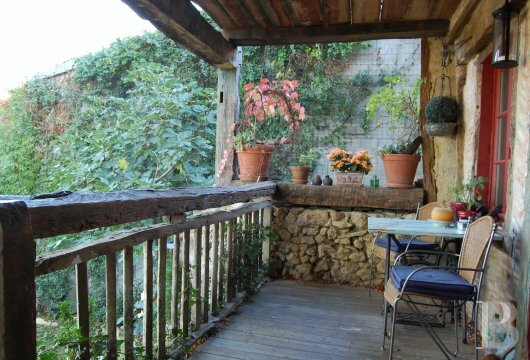 The residence is in an excellent state of repair, guarded by the single entrance tower in a village dating from the Middle-Ages.